HomeCORRUPTIONWhich PLP Candidate’s Campaign Is Being Funded With Illegal Herpes Vaccine Money? Which PLP Candidate’s Campaign Is Being Funded With Illegal Herpes Vaccine Money? 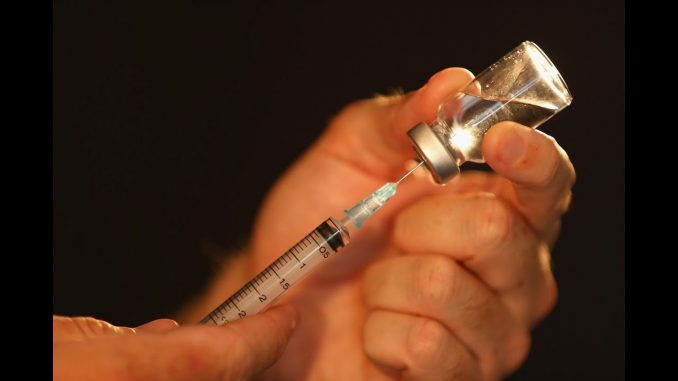 It has been reported that the 2016 illegal herpes vaccine trial that took place in the Federation of St. Kitts-Nevis helped to generate funding for a candidate within Prime Minister Dr Timothy Harris’ People’s Labour Party (PLP). Word of the illegal vaccine trial first surfaced in 2017 when a US media house broke the story concerning the late Dr William ‘Bill’ Halford, the ‘rogue’ Southern Illinois University professor and researcher. Dr Halford administered his untested and unapproved herpes vaccine called ‘Theravax’ on 17 persons from Britain and the United States, all of whom flew to St. Kitts to take part in the secret trial. The illegal vaccine entered the federation’s borders and was administered to the 17 test subjects without the knowledge and consent of then Chief Medical Officer, Dr Patrick Martin. Almost two years after the Royal St. Christopher and Nevis Police Force reportedly launched an investigation into the matter, there has been no report or update from neither law enforcement or the Ministry of Health on the matter. Questions posed at press conferences regarding the issue have steadily been met with the hollow explanation of “Investigations are ongoing.” In the absence of government and law enforcement action, information has emerged revealing that the vaccine trial could not have taken place without the direct assistance and instruction of key individuals within the government and others working within entities subject to government oversight. It has been revealed that the vaccine was administered in a guest house located on a hill overlooking the greater Frigate Bay area. The vials of Theravax reportedly entered the federation by air, packaged in dry ice. The package, which was reportedly addressed to the Monkey Farm at Borryeaux, was one of many packages in a shipment of goods with a certain courier service. Reports indicate that this package whose labelling indicating that it required refrigeration, was allegedly held at Customs; the courier service with which it was shipped was not allowed to take it off the airport compound. The Monkey Farm at Borryeaux is managed by Alexis Nisbett, nephew to Prime Minister Harris and the husband of Senator Akila Nisbett, PLP’s newest addition to its candidate slate. Mrs Nisbett’s mother is employed by National Caribbean Insurance, the government’s health insurance scheme that recently and conveniently began refusing to cover patients’ MRI expenses unless the MRI is conducted at the Monkey Farm. Given their now known proximity to this unethical saga in addition to their involvement in the controversial inclusion of the Monkey Farm’s MRI machine MRI machine to the federation’s short list of healthcare services provided, the general public is left to wonder who got paid to turn a blind eye and a deaf ear to rules, regulations, ethics, and the law.